We are group of individuals who are well educated and service oriented, and willing to serve students to get knowledge in their career path. 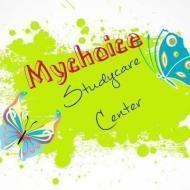 Mychoice Studycare conducts classes in Abacus, Advanced Placement Tests Coaching and BSc Tuition. It is located in Tpt Colony, Visakhapatnam. It takes Regular Classes- at the Institute and Online Classes- via online medium.